One of the options I offer is hydroblasting (aka vapor honing). Nice, huh? This example is the venerable and very precious Honda GL1000. Really cleans these vintage, zinc-based castings up well. The carbs are ultrasonically cleaned before and after as well. 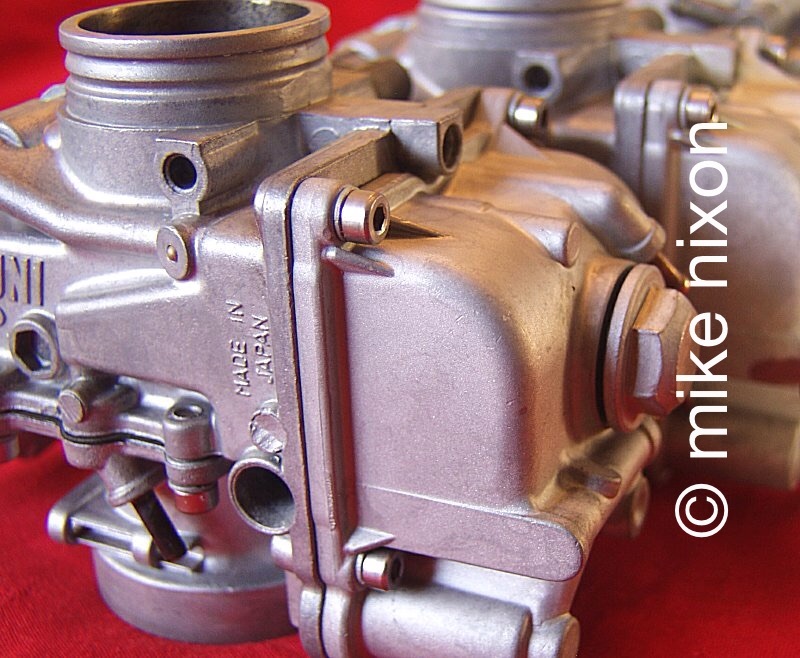 Hydroblasting did a nice factory-like job on these Mikuni RS carbs, eh? 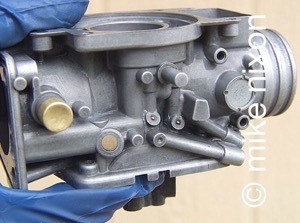 Even these kind of rare race carbs responded well to the treatment. These are difficult carbs to do. They have delicate castings and needle bearings pressed into the castings, as well as an anti-friction coating that must be preserved. 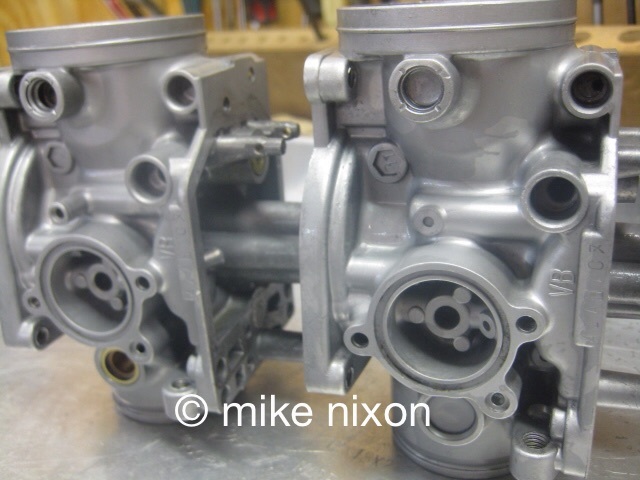 Honda CB750 DOHC carbs this time. Gotta love that finish! More and more of my customers ask for this treatment. Note that the throttle shafts and all plated pieces are removed and afterward reinstalled. These pieces can be re zinc plated on request as well.